Welcome to 6-K in the prestigious Gateway Towers. 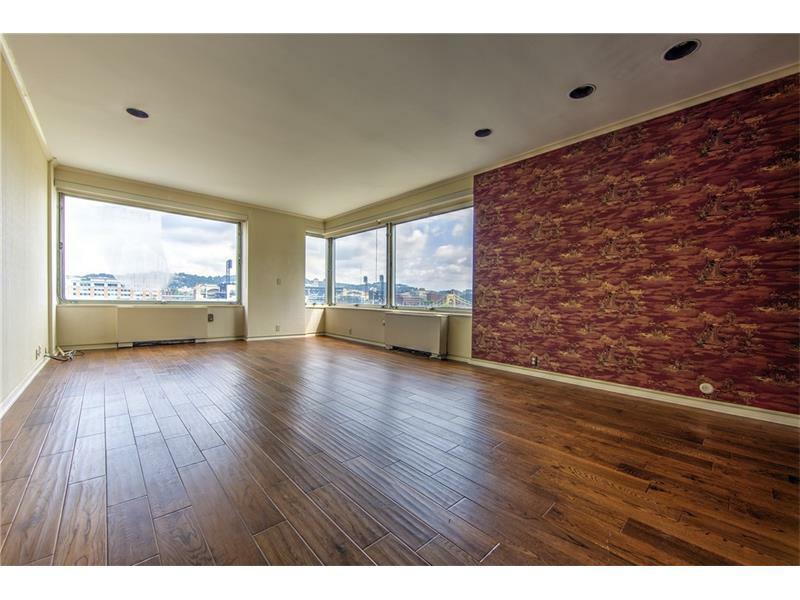 This corner unit two bedroom two full bath condo overlooks Allegheny River, stadiums. Exquisite views of PNC Park, Heinz Stadium & the North Shore.Full service building with doorman, security 24X7, front desk reception, exercise/spa with men’s & women’s deluxe showers/sauna,party room, billiard room, computer/library, bicycle storage. Secure parking in building for fee. Zip cars onsite. Condo features living room, dining room with wood flooring, kitchen with granite, white cabinetry, ensuite laundry,walk-in shower in bath. Enjoy Downtown Pittsburgh living, walk to Cultural District, sports stadiums, shopping, restaurant. Low maintenance fees include heat,central air,water,sewer,trash. Owners pay electric.